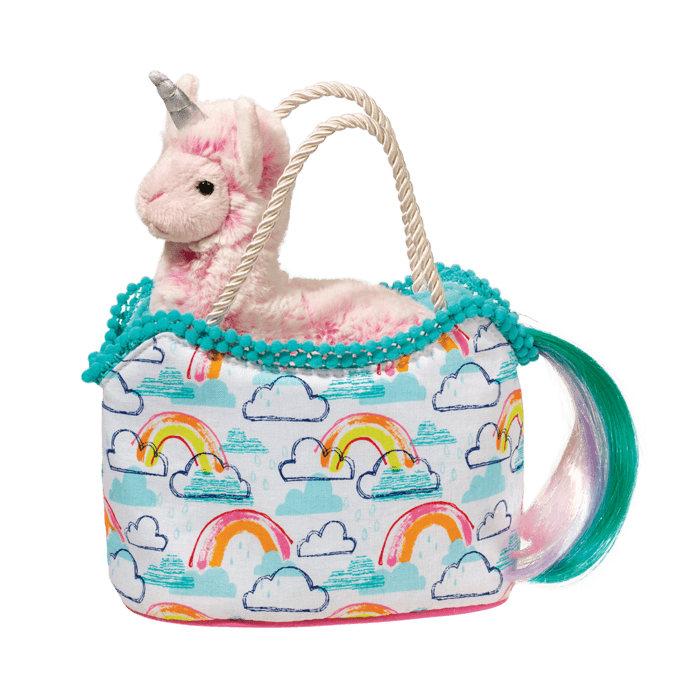 Rainbows and llamas and horns, oh my! 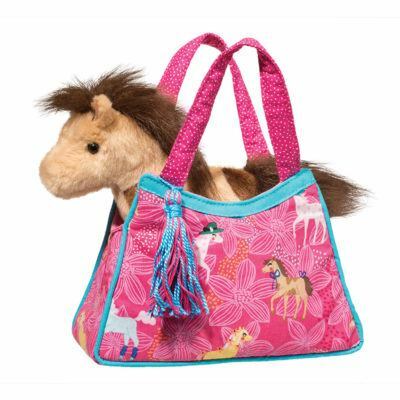 Introducing our Llamacorn Sassy Pet Sak. Pretty much the coolest thing since fuffernutters (if you don't know, you need to!). 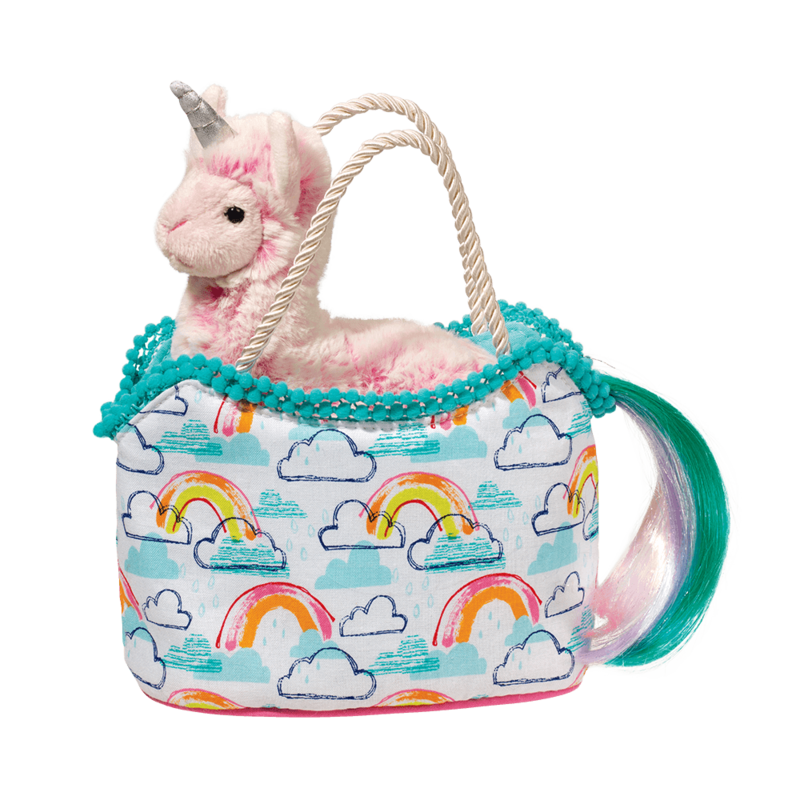 Our pink fuzzy plush llama has a silver metallic horn and a brush-able rainbow monofilament tail (yes, really). 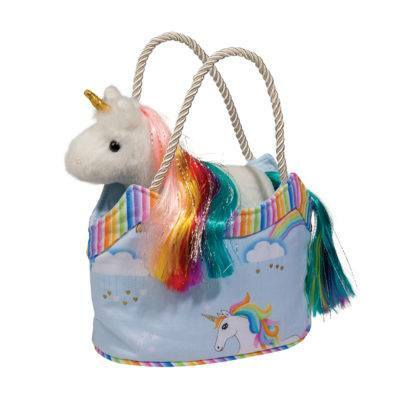 As if this magical creature wasn't amazing enough on her own, she comes in a rainbow motif tote bag for on-the-go fun. Yes, please! 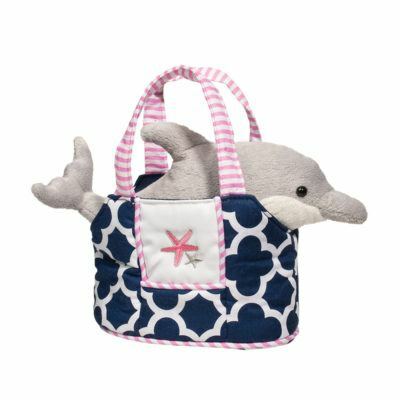 Measuring 6″ wide the rainbow tote is ready to hold all of life's most important little treasures! Designed in New Hampshire by our ever talented Design Team with style, design, squish and durability in mind. Recommended for ages 24 months and up. 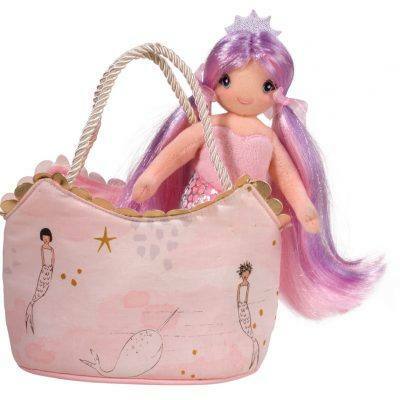 SKU: 2194 Categories: Fashion, Purses & Bags, Fantasy, Fantasy Friends, Sassy Pet Saks Tags: Easter + Spring Favorites, Llamas & Hedgehogs and Sloths!